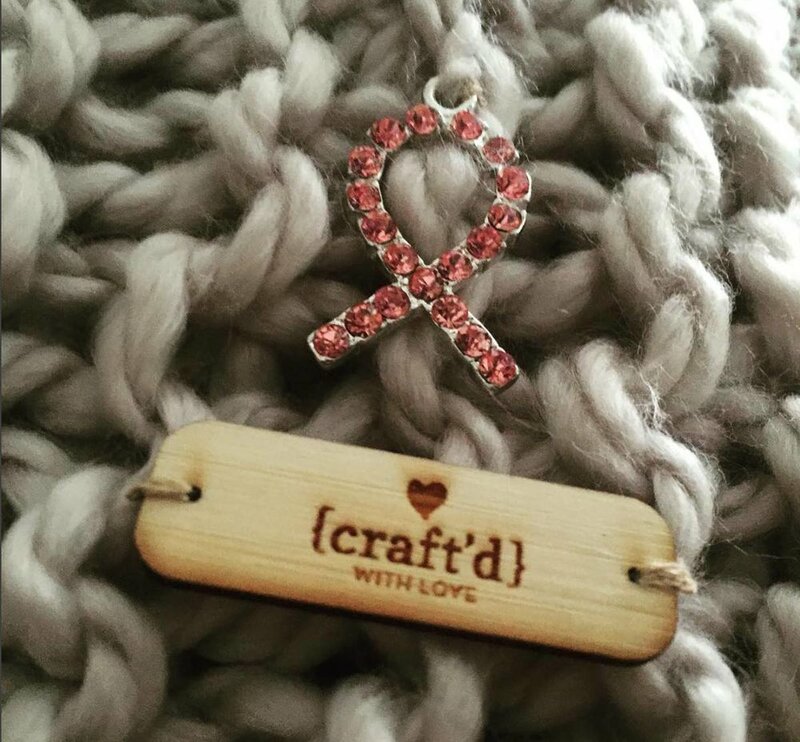 In 2013 we started the Craft'd With Love Project and kicked off our first "Share The Warmth" season. In the last three years we have donated over 700 hand knitted scarves to patients undergoing cancer treatment during the cold winter months. We have witnessed, first hand, the toll cancer takes on the patient as well as on their family. A kind gesture can do wonders for the human spirit and help keep hope alive in the most dire of situations. OUR MISSION is to spread LOVE and ENCOURAGEMENT. We want patients to know we are cheering them on as they navigate through this scary and difficult journey. Help us Share the Warmth! With only a few months left help make a difference in someone's life by donating or sharing the campaign link. You can also help by telling your friends and family about our project, and liking our page on social media. To donate supplies or volunteer to be a knitter you can contact us at craftdwithlove@gmail.com. I was given a beautiful circular scarf at the Cancer Support Center, Pasadena, yesterday. It's totally beautiful and soft. Not sure how to arrange it, but I suppose any way is just fine. Want to thank you for the efforts and your generosity. 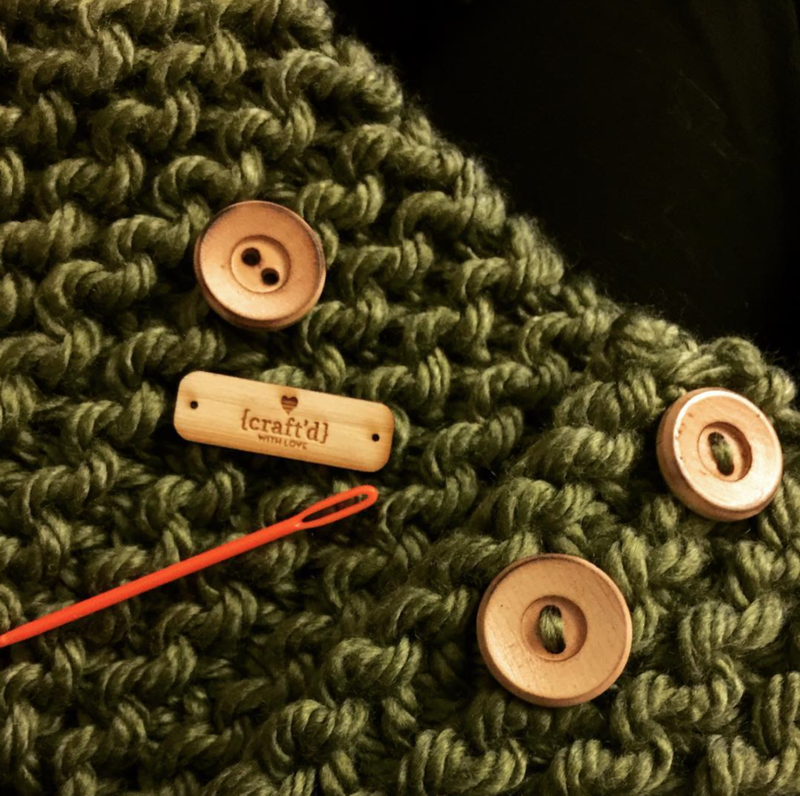 Craft’d With Love’s amazing scarves are positively providing emotional support and comfort to hundreds of patients, and are a perfect example of how small gestures of kindness can have big and lasting effects on the lives of other people. The Foundation for Living Beauty is so grateful to Craft'd With Love for the beautiful scarves they donate to our organization. Living Beauty provides services to women with cancer. We frequently make visits to women who are particularly ill, struggling and need something to brighten their day. We always take one of the beautifully packaged Craft'd With Love scarves to our Living Beauties, and the scarf definitely makes their day. We recently visited Theresa, one of our Living Beauties with stage four cancer. She loved her beautiful scarf, and wrote to us, "My scarf is so warm and beautiful! It keeps me warm and boosts my spirits in cold chemotherapy rooms!" We are so grateful for our partnership with Craft'd With Love, and look forward to the opportunity to share their gift with many women in need. It is a gift working with Craft'd With Love! Our clients love the scarves. They are beautiful and cozy, giving comfort and joy when families need it most. Thank you for bringing handmade love to our patient! Wow - the scarves delivered today to the Pasadena Ronald McDonald House are beautiful! And beautifully packaged! Thank you so much for thinking of us!